The global lubricants market valued USD 89.76 billion in 2016, and is estimated to reach approximately USD 102.55 billion by 2021, projecting a CAGR of 2.7% during the forecast period 2016-2021. Lubricants are vital for the proper functioning of machines. They are used to reduce wear and friction between surfaces in close proximity and that move relative to each other. They are usually in liquid, semi-fluid, or in solid state. Superior-quality lubricants possess various characteristics such as a high viscosity index, high level of thermal stability, low freezing point, and high boiling point. These features help reduce friction between surfaces of machine parts, reduce the rate of wear and increase operational efficiency. They act as a cooling fluid, and remove any residual deposition over mechanical parts, thereby increasing their operating lifespan. The global lubricants market, by stock type, can be broadly segmented into bio-based lubricants, mineral oil lubricants, synthetic lubricants, and greases. The mineral oil lubricants segment accounted for the highest share in the global lubricants market in 2015. However, it is expected to be the slowest growing product segment during the forecast period, with shifting consumer preference towards synthetic and bio-based lubricants. The market has also been divided according by product type into: engine oil (Light motor vehicle engine oil & heavy-duty motor vehicle engine oil), transmission & hydraulic fluids (industrial hydraulic fluids, automatic transmission fluids, and others), metalworking fluids (emulsifiable oil, straight oil, synthetic oil, semi-synthetic oil), general industrial oils (turbine oil, compressor & refrigeration oil, others), gear oil (vehicle & equipment gear oil, industrial gear oil), greases (vehicle & equipment greases, industrial greases), rubber process oil, white oil, electrical oil and others. 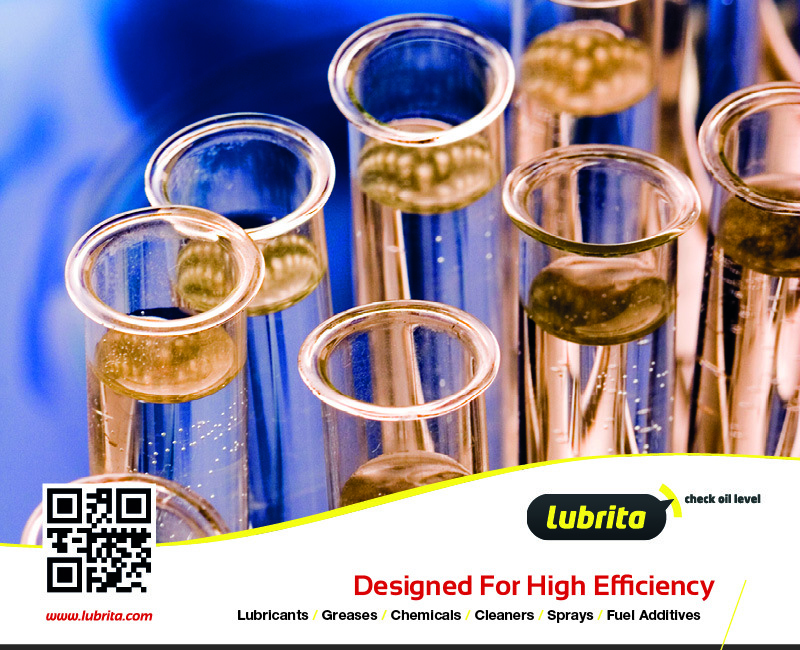 Lubricants are increasingly used in various commercial and industrial sectors, owing to their previously mentioned functions and advantages. The market is also segmented by end-user industry into power generation (industrial, municipal), transportation (passenger vehicles, commercial vehicles, aerospace, marine, and railways locomotives), construction, food & beverage, metallurgy & metalworking, mining, oil & gas and others. The market has been segmented geographically by Asia-Pacific (China, India, Japan, South Korea, ASEAN countries and rest of Asia-Pacific), North America (United States, Canada, Mexico, rest of North America), Europe (Germany, United Kingdom, Italy, France, Nordic Countries, Russia, rest of Europe), South America (Brazil, Argentina, Venezuela, Colombia, rest of South America), and Middle-East & Africa (Saudi Arabia, South Africa, Qatar, United Arab Emirates, rest of Middle-East & Africa). Asia-Pacific holds the highest market share by region, and the global lubricants market is only expected to grow significantly faster than North America & Europe during the forecast period. The rapid industrialization in BRIC nations and the increasing demand of automotive globally are the major reason for driving the market of lubricants. Moreover, stringent environmental regulations by government to use lubricants for better efficiency have also increased the demand of lubricant products. The market has few restraints; volatility in raw material prices and high prices of synthetic & bio-based lubricants among others. Opportunities & Major Players Industrial growth in the Middle East & African region, the continuous developments in synthetic and bio-based lubricants, and significant increase in the demand for re-refined lubricants will offer major growth opportunities for growth for lubricant manufacturers during the forecast period.